Being an example of God’s Love and qualities makes any person an ambassador of Him. God’s qualities are in each and every soul, souls are his children, made in His image. When you can re-emerge those qualities that are natural in you, you’ll be truly his ambassador. Come and learn how. 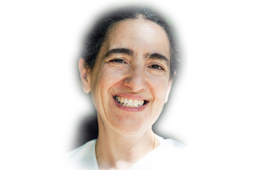 Maureen is a Programme Director for the Brahma Kumaris in the UK. She has been involved in a multitude of projects and initiatives involving Peace. Travelling extensively she shares her keen interest in “dealing with conflict and conflict resolution”.